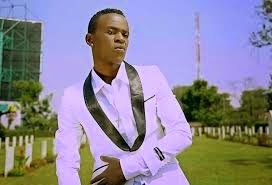 Youth Senate Kenya National Coordinator, Fiona Maurine has accused gospel Artist Willy Paul, of harassment and intimidation. According to a local newspaper, Maurine allegedly met Willy Paul drunk and staggering out of the Thika Road Mall a couple of weeks ago. Here is what she said. “I was a bit shocked to see him drunk and staggering out of the building. I even had to step aside to make way for him and his two female companions,” Fiona claims. She further alleged that one of Willy Paul’s female companions attacked her and attempted to slap her. “I was really scared. They claimed that I was staring at them rudely and at some point, Willy Paul was too close for comfort,” she added. Willy Paul however, through his manager claimed that the singer was out of town and was nowhere near TRM. “Willy Paul was blessing his fans in Karatina. He was not at Thika Road Mall!” Didiero told The Standard.